LOS ANGELES (AP) — Burglars caused $10,000 worth of damage to Los Angeles Dodgers star Yasiel Puig’s home while attempting to steal a safe. 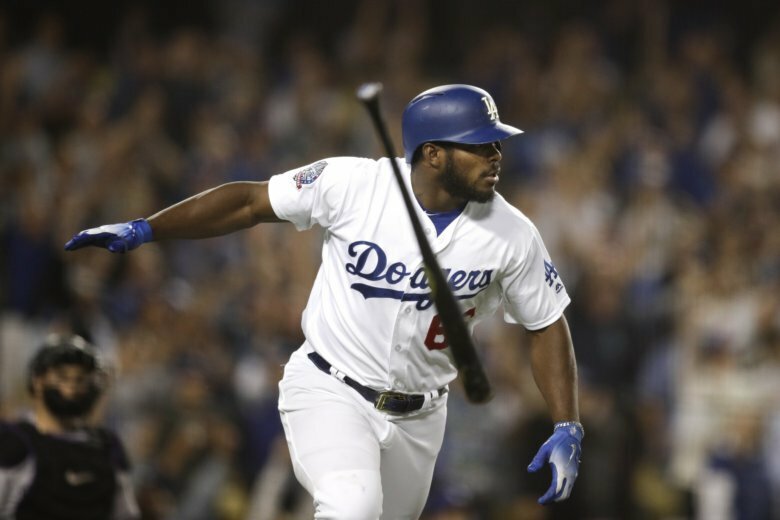 According to the Los Angeles Police Department, the suspects broke into Puig’s San Fernando Valley home Tuesday night. They ransacked the residence, found a safe in the second-floor master bedroom, and dragged it downstairs to the front door. Police said Thursday that the suspects then fled, leaving the safe in the entry way. An inventory is being conducted to determine what else was taken. Puig was at Dodger Stadium for a game on Tuesday. “I (did) not sleep too much yesterday,” Puig said Wednesday, without offering details about the latest incident. Police are seeking the public’s help in identifying three suspects, including the driver of a black four-door Toyota vehicle with paper license plates. Police say the same suspects are believed to have been involved in another burglary attempt at Puig’s home on Aug. 30. Previous break-ins at Puig’s residences occurred in March 2017 and during Game 7 of last year’s World Series.